We all strive to be our best selves, but sometimes it’s easier said than done. We can all make excuses to make unhealthy choices. Your niece has a birthday and it would seem rude to turn down that slice of chocolate cake. You forgot to pack a gym bag, so you have “no choice” but to skip the work out that day. Yes, we’re all guilty of fishing for reasons to take the easy way out. But, there’s still time to turn it around! If you want to inspire your team or company to really take their health seriously, give them products that will help them along their health journey. Below are ten of our favorite products to promote a healthy living. The first step to a healthy lifestyle is actually being physically healthy. Office germs are no joke. It only takes one person getting sick to start a full-on plague. Protect yourself from being one of the infected with this hand sanitizer. You can never be too careful when it comes to your health. We’ve all hit that mid-day slump when nothing sounds better than an ice-cold soda from the vending machine. You think, one soda couldn’t hurt, could it? The answer is yes. Sodas are packed full of sugar and calories. For a healthier solution, have a cup of tea instead. 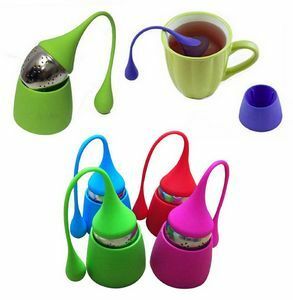 This tea infuser makes it easy for you to make a delicious cup of tea that will taste delicious and wake you up! Keeping track of your medications can be hard. With all the vitamins we’re recommended, not to mention any other medication we’re prescribed to take, sorting out all those pills can be a mess. 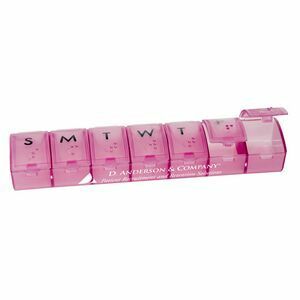 With a handy pill box, you’ll know exactly which pills you’re supposed to take on what day. Staying hydrated is a big part of a healthy lifestyle. 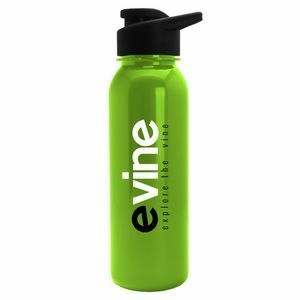 Whether you’re on the go or sitting at your desk, this water bottle will help you remember to drink water throughout the day. Fun fact: drinking water can also keep you from overeating! Packing a lunch is an easy and affordable way to be healthy every day. 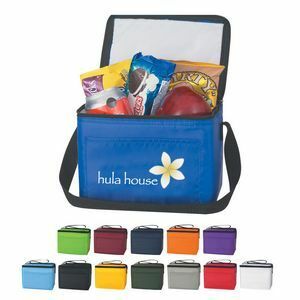 You can pack a nutritious and filling lunch in this spacious tote – and even some snacks for later! Now you have a clear way to measure your fitness goals. 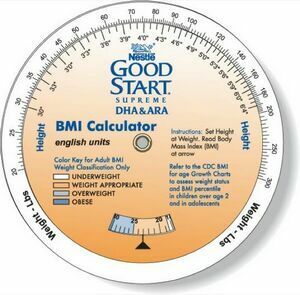 With this helpful, compact tool, you’ll be able to measure your body mass index. This is handy for when you want to figure out where you fall on the healthy scale. The best way to achieving a healthy lifestyle is to be aware of how much activity you get throughout the day. 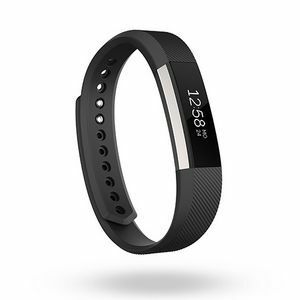 The Fitbit not only keeps track of how many steps you take throughout the day, but it also measures your heart rate and sends a small vibration to you remind you to walk around for a bit. Don’t you hate it when you’re working out and you keep having to juggle your phone from one hand to the other? 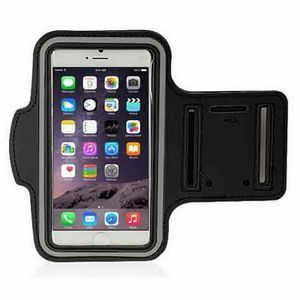 Well, this smartphone armband gives you a way to workout to your favorite music hands-free. Your phone will be strapped securely to your arm, giving you plenty of motion to do any type of exercise you want. 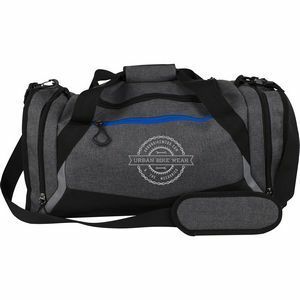 With this sports duffle bag, you can fit all your gym necessities! Just pack your workout clothes and a pair of sneakers and you’re ready to hit the treadmill after work. 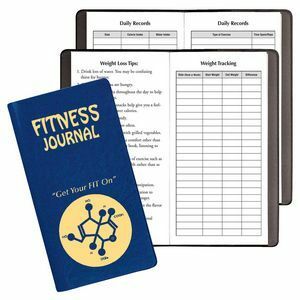 To hold yourself accountable, write down your progress in this health journal. Writing down what you eat and what you do for exercise will make you more aware of the healthy steps you take. And over time, you’ll be able to look back on all your hard work! Being healthy doesn’t have to be a struggle when you have the right tools. With the help of these products, your team will be achieving a better, health-focused lifestyle. Want more health and wellness inspiration? Contact us today!